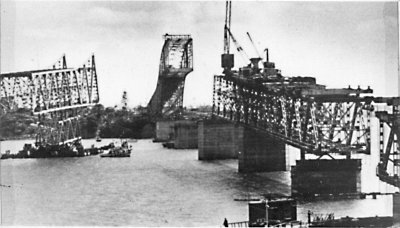 Back in December 1958 during construction, the large centre portion weighing 1200 Tons was being floated into place. A nasty low weather front with gale force winds quickly moved in and the centre section began floating out of control up the harbour. 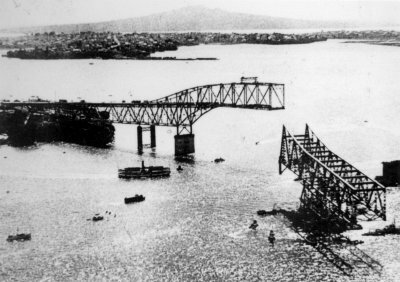 Harry Julian’s tugs were unable to hold it in place and W C Daldy came to the rescue performing steadily for over 36 hours saving Aucklands’ bridge consuming about 40 tonnes of prime South Island coal in the process.